Instant Wow: Wraps and extends every lash. Up to 90% longer instantly! Conditions lashes, day after day. Apply 2 coats of mascara along the length of lashes for up to 90% longer length instantly. INGREDIENTS: AQUA/WATER/EAU, PARAFFIN, CERA ALBA/BEESWAX/CIRE D’ABEILLE, STEARIC ACID, PVP, CETYL ALCOHOL, ARGININE, POLYSORBATE 20, PROPYLENE GLYCOL, COPERNICIA CERIFERA CERA/COPERNICIA CERIFERA (CARNAUBA) WAX/ CIRE DE CARNAUBA, PANTHENOL, SYNTHETIC WAX, TALC, CANDELILLA CERA/ EUPHORBIA CERIFERA (CANDELILLA) WAX/CIRE DE CANDELILLA, PHENOXYETHANOL, OZOKERITE, BUTYLENE GLYCOL, CAPRYLYL GLYCOL, HECTORITE, SIMETHICONE, TOCOPHERYL ACETATE, GLYCERIN, ACRYLATES/CARBAMATE COPOLYMER, CAFFEINE, PPG-26-BUTETH-26, HDI/TRIMETHYLOL HEXYLLACTONE CROSSPOLYMER, PEG-40 HYDROGENATED CASTOR OIL, COLLAGEN, HYDROLYZED KERATIN, SODIUM SULFATE, BIOTIN, SODIUM HYALURONATE, MYRISTOYL PENTAPEPTIDE-17, POTASSIUM SORBATE, SILICA, APIGENIN, OLEANOLIC ACID, BAMBUSA ARUNDINACEA LEAF EXTRACT, BIOTINOYL TRIPEPTIDE-1, SODIUM BENZOATE, [May Contain /Peut Contenir/+/-: CARMINE (CI 75470), CHROMIUM HYDROXIDE GREEN (CI77289), CHROMIUM OXIDE GREENS (CI 77288), FERRIC FERROCYANIDE (CI 77510), IRON OXIDES (CI 77491, CI 77492, CI 77499), MICA, TITANIUM DIOXIDE (CI 77891), ULTRAMARINES (CI77007), MICA]. love this product! 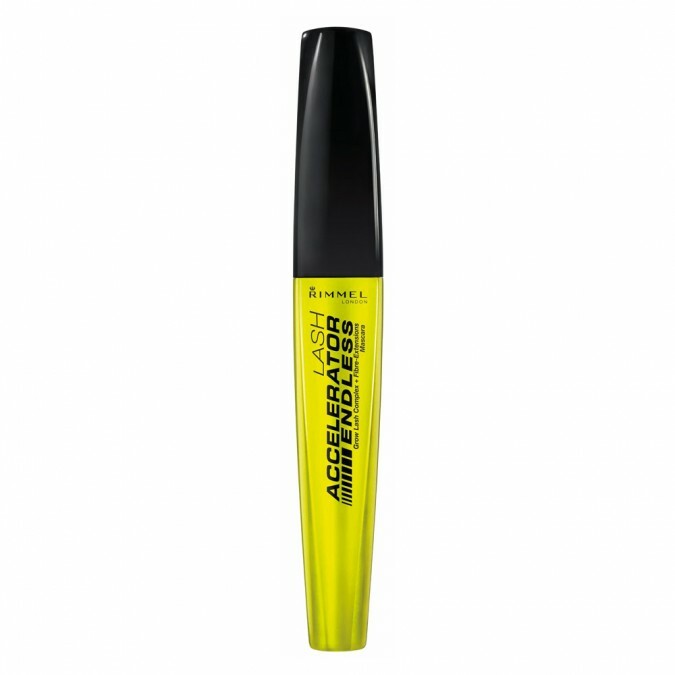 I usually wear cheaper mascara and don't like the effect and was very pleased when i spent a bit more on this one. It seperates the lashes nicely and lengthens them after two-ish coats, without being too clumpy.